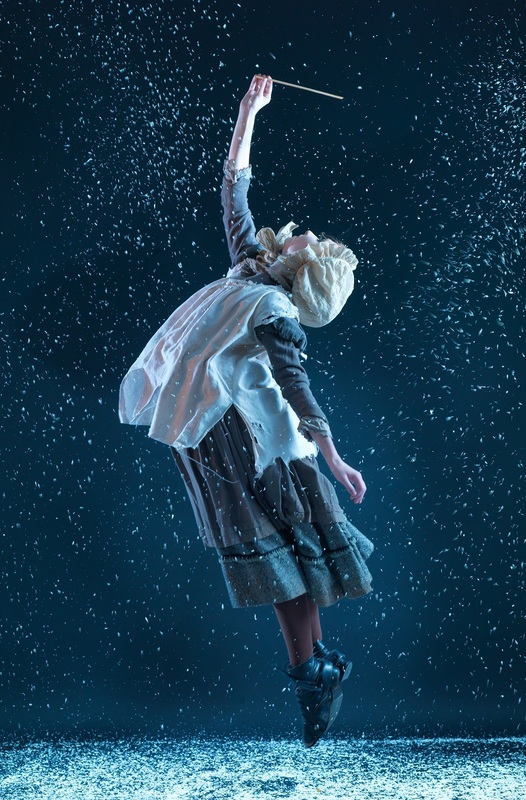 The Christmas Season is officially here and what better way to get in the festive mood than with a trip to Dance City to see award winning director Arthur Pita's adaptation of The Little Match Girl. Seeing a dance show has been on my Christmas bucket list for many years so when I was invited along to Dance City to watch my first ever show I was thrilled. 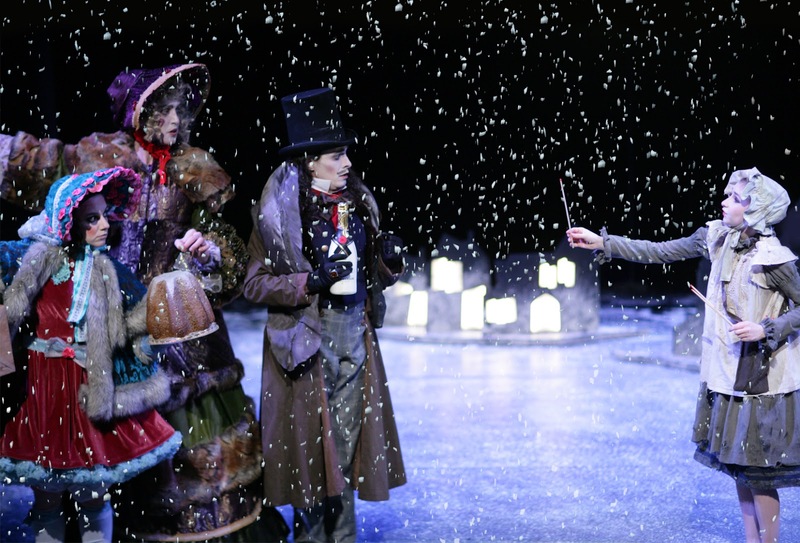 Set on a freezing cold Christmas Eve, the show tells the story of a little match girl, desperately trying to sell matches on the snowy streets of an Italian town. Following her journey in the snow she dances her way into her hearts until she's left with only one match. Freezing cold and starving the little girl is rescued by her beloved Grandmother who takes her on her final adventure. I wasn't sure how I would find my first experience of a dance performance as it's something so new and different to me. I couldn't really prepare myself for how much the show moved me. The hour long performance not only had me roaring with laughter but also left me with tears in my eyes and a huge soppy smile. It's certainly an experience I will be thinking about a lot this Christmas. Hauntingly beautiful with stunning choreography I was completely mesmerised by the Little Match Girl from the second the scene was set. The classic Hans Christian Andersen's story came to life through the beautiful music of Frank Moon, who performs live on stage, and the magic of song and dance. The theatre was packed with people of all ages including a lot of children. I will admit I wasn't sure if they would sit still through a show with no English dialogue but the bright and colourful costumes, engaging dancers and fantastic story had the attention of every child in the theatre. As the lights came up I couldn't help but smile as I heard one young boy discussing with his Grandma which bits of the show were the best. It was lovely to know that the Little Match Girl had touched him just as much as it had touched me. One of the things I love most in life is trying new experiences and I'm so happy to have found Dance City, I'm already studying the diary to see what I can see next and the cosy DC Café has already found itself on my cake list. 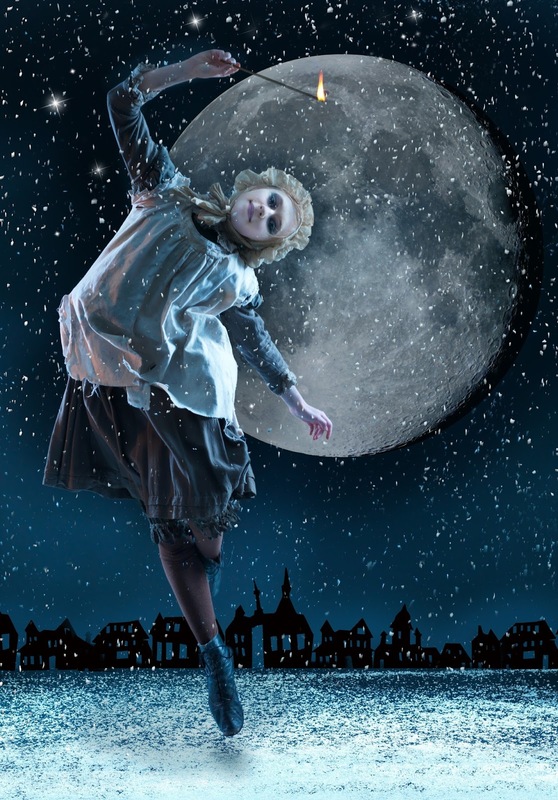 The Little Match Girl continues until this Saturday (5 December) and tickets are only £6.00 so if you're looking for something to get you into the spirit of Christmas make sure you grab a ticket before it's too late! My goodness, what an imaginative work. Frank Moon captured the attention of all with his hauntingly beautiful music as introduction to a story so eloquently told. That four cast members and a minimum of cleverly designed props could come together to create a magical performance was amazing. My grandson aged seven was totally fascinated, especially when we were transported to the moon! A huge thank you to four amazing performers.